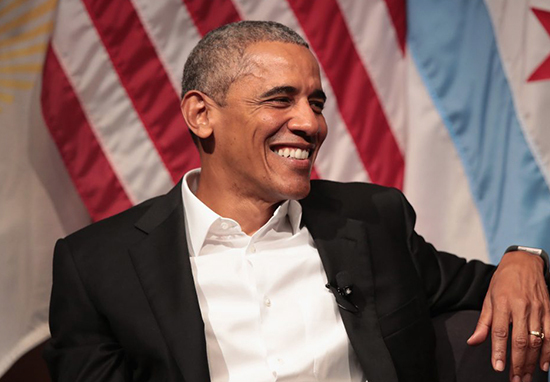 Great news people, Barack Obama is back in the news… and it’s not for anything terrible. It’s not even for anything ‘serious’ or ‘political’ or ’emotional.’ It’s a beard. Yep, a picture has emerged on Twitter of the former President sporting a tidy, greyish beard. Not too shabby at all! Shame it’s almost definitely a fake. I reckon we need more politicians retiring with facial hair. 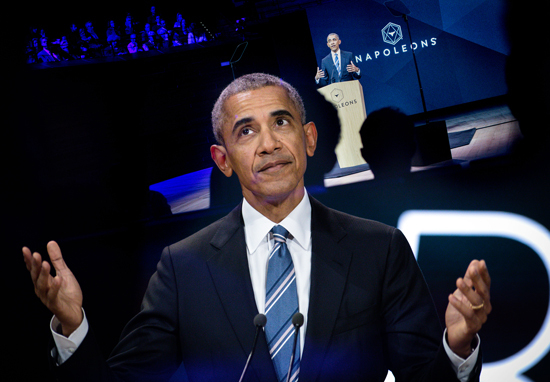 So what if Barack Obama doesn’t have a beard IRL? What’s most important is he has #opinions on society post-presidency. He recently met up with ex-late night talk show legend David Letterman for his new Netflix series to put the world to rights. One of the biggest challenges we have to our democracy is the degree to which we don’t share a common baseline of facts. What the Russians exploited, but it was already here, is we are operating in completely different information universes. If you watch Fox News, you are living on a different planet than you are if you listen to NPR. At a certain point. You just live in a bubble and I think that’s why our politics are so polarised right now. Obama was praised towards the end of last year for tweeting what he believes to be the best things about America. For all the bad news that seemed to dominate our collective consciousness, there are countless stories from this year that remind us what’s best about America. Thirty wedding guests became an organisation of hundreds of volunteers. That’s a story from 2017. Chris Long gave his paycheques from the first six games of the NFL season to fund scholarships in Charlottesville, VA. He wanted to do more, so he decided to give away an entire season’s salary. That’s a story from 2017. He created kits full of socks, toiletries, and food for those in need. Just this week, Jahkil reached his goal to give away 5,000 ‘blessing bags’. That’s a story from 2017. All across America people chose to get involved, get engaged and stand up. Each of us can make a difference and all of us ought to try. So go keep changing the world in 2018. Feel like pure sh*t just want him back.